Mix and match letters to build more than 100 words with short vowel sounds. Touch letters to hear them sounded out and pronounced. 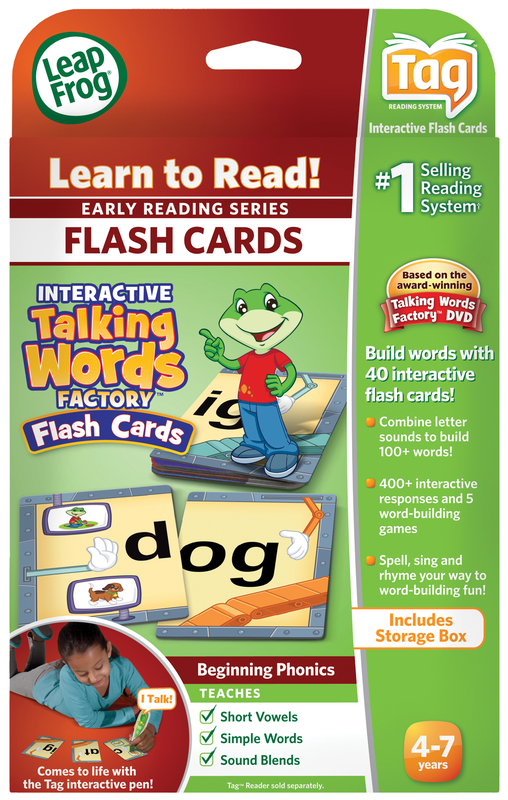 400+ interactive responses and 5 spelling, rhyming and singing games reinforce word-building fun. Turn letters into words at the Talking Words Factory by playing five rhyming, spelling and singing games. Spot spelling patterns and swap out beginning letters (onsets) and ending letters (rimes) to create new words. Parents can connect the device to the online LeapFrog Learning Path to see what their child is playing and learning. For use with the LeapReader and Tag Reader pen only. LeapReader or Tag Reader pen is required and sold separately.